Thank you for visiting my blog, I really do appreciate it and hope you like the project. This card is for 2 blog challenges. One challenge is a colour challenge and the other is a card sketch, so I have combined the two of them, in this one card. I really loved making this card. 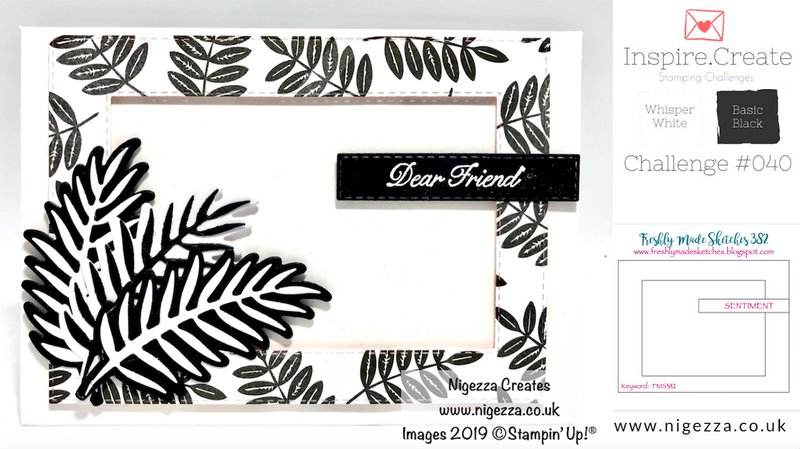 Black and White cards a so striking and I loved the sketch challenge as well. The two blog challenges are Inspire. Create. Challenge 40 and Freshly Made Sketches #382 it is the first time I have joined in with a Freshly Made Sketches challenge. 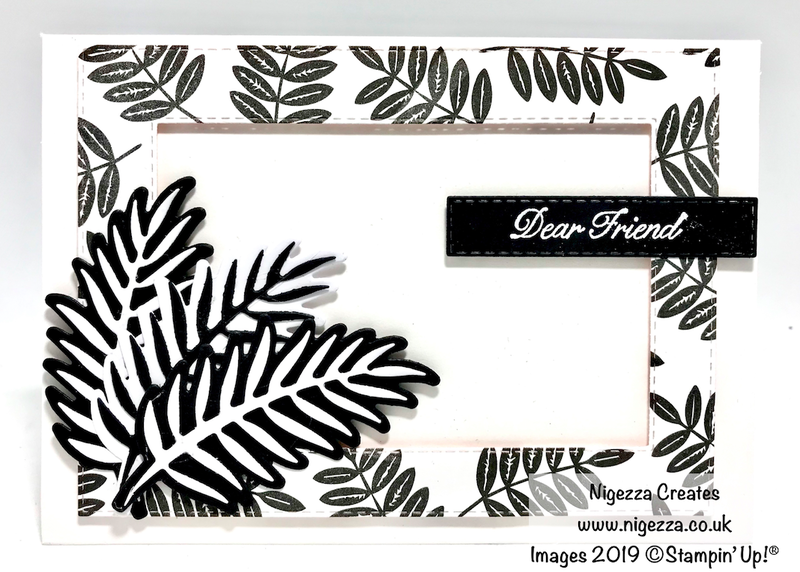 Standard C6 card base in Thick Whisper White - 8 1/4" x 5 7/8"
I used the Tropical Thinlets and cut 2 large leaves in Basic black and 1 in Whisper White and then cut the leaf centres in the opposite colours to give this dramatic effect . I love the how Black and White monochrome cards look and I loved the card sketch with its offset sentiment. Perfect to use the Stitched Rectangles with.